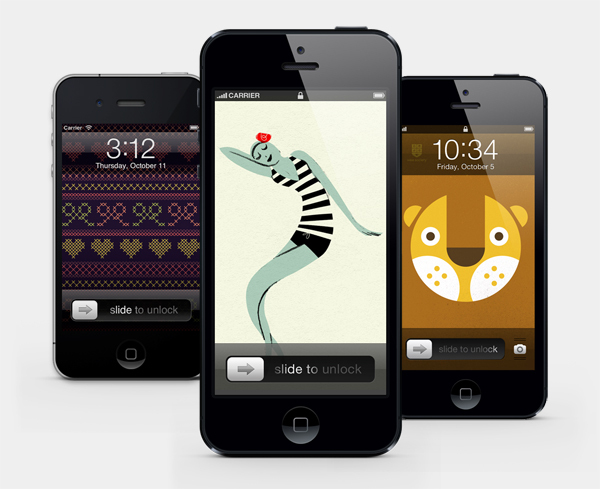 Artists and illustrators have generously shared tons of free backgrounds for iPads and iPhones. Some of my faves are the sweater wallpaper at Mr. Handsomeface, graphic animal backgrounds from Wee Society (with instructions for making them into DIY Halloween costumes for kids! ), and this lady by Simone Massoni. Browse through the other beautiful, bountiful options at Poolga, too, including new, free wallpapers for the iPhone 5. Ha! There are some really wild and crazy ones out there! a great collection. i'm going to have such a hard time choosing!! Thank you for posting this! I love the cute sweater wallpaper so much.